Pink Boutique Bow topped with a White Daisy. The bow has 1.5" grosgrain ribbon and is attached to a french clip. 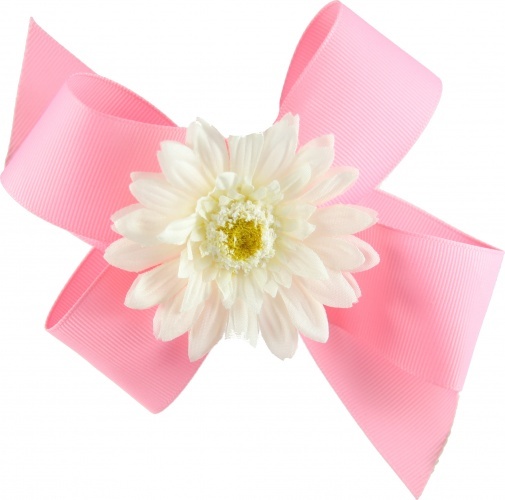 The White daisy is attached to it's own alligator clip and just slips unto the pink boutique bow. This gives you two looks for the price of one. This base bow is great with all of the 411 toppers and all of the flowers sold individually. All of these can be interchanged on top of the base pink bow to give you several different looks with just one base bow.